Beauty, Before & After, Health, News, Skin Care, Try the Thing! This week, I had the opportunity to test out goPURE Naturals Youth Glow Eye Gel. My eyes were in need of some TLC, so this came at an excellent time. The product description details the ways each ingredient helps to reduce puffiness, fine lines and dark circles, citing that the skin will appear 2 years younger after 1 month of consistent use. Look for my one month review the last weekend in April to see how it did. If you’d like to test it out with me, keep reading for details. My package arrived on-time with the item securely padded in the box. The product box is labeled with the manufacture date and a shelf life of 2 years. As with any new skin product, it’s always a good idea to swatch a bit away from your face (I’ve made this mistake with a peel mask before, and it’s not fun). The bottle inside is 3 inches tall, 0.5 fl. oz. at a retail price of $24, which is about standard for premium skin care products. The gel is clear and nearly unscented. You won’t notice a scent when you wear it, but I picked up on what I would describe as green banana. Instructions are to dab a small amount (with eye gels, the proper amount is about the size of a pine nut per eye) around the eye area and dark circles twice per day. I’ve been dabbing mine when I get ready for work and when I wash my face in the evening. It feels a little tacky until it fully dries, so give it a few minutes. The most noticeable sensation is a warming, tightening feeling in the area of the dark circles. I’m currently on Day 4 of the test week, and I’m starting to see less purple in my dark circles, which is a good sign. The puffiness is down a little too. These are decent results considering the short time I’ve been using it. It was pretty hard to tell whether this gel was working until I looked at my pictures. It’s a gradual change that I didn’t see just looking at my skin every day, but looking at the difference in just four days, I’m really impressed. Compare this to Glam Glow, and it’s a great deal. Speaking of great deals, I have a coupon code for you! Now through June 15, you can save 25% on your goPURE purchases. Just use LHADD4OY at time of purchase. goPURE Naturals are made in the USA, never tested on animals, and are made with the purest natural ingredients. Youth Glow Eye Gel contains Vitamins C & E, hyaluronic acid, plant stem cells, Matrixyl 3000 and a proprietary peptide complex. I’ll let them explain what those do. I’ve enjoyed using this product, it feels great, and I’m looking forward to giving you my 1 month update!  This review is powered by BrandBacker.